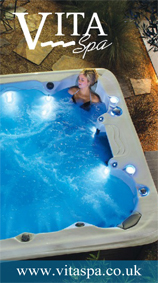 As the name suggests, Lincolnshire-based 1 Stop Spas provided a one-stop shop for the customer, undertaking the design, planning, supply, coordination and installation of the whole project, therefore reducing costs for the customer and ensuring a speedy completion. “The short timescale from the delivery of the spa and cabin to getting the project totally finished was a challenge, but we managed it,” says Chris Brady, Director of 1 Stop Spas. The client had visited the 1 Stop Spas showroom 12 months previously, having been impressed with projects he had seen on the company’s Facebook page. 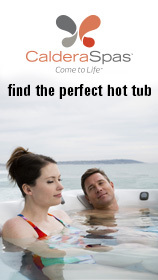 He was looking to purchase a dual-temperature swim spa to go into a cabin, which he was planning to buy online. At the time, the customer had concerns over having to coordinate the project as he had limited time available, but was keen to try to ensure he could do it all within his budget. “After a few visits to our showroom and receiving consultation on each element of the project, the customer decided that he would prefer to utilise the experience of the 1 Stop Spas team,” explains Chris. 1 Stop Spas specified a Vita Spa XSP 16.5ft Swim Spa in combination with a Marquis Spas Epic with Ultimate package and Microsilk. The swim spa is housed in a bespoke log cabin made from Nordic Spruce, which was designed and built by 1 Stop Spas. An End2End swim spa roller cover was also required due to the swim spa height inside a log cabin. Says Chris: “This project was completely bespoke and each element tailored for the customer to get the best value out of each element and value for money. The biggest challenge was designing the log cabin big enough to accommodate a large swim spa and spa, leaving room for the customer to build his own bar at one end whilst ensuring the design was strong and built to last. And of course, keeping a bespoke cabin within the allowable budget of the customer.